Danny has been coming to me for 7 yrs. The cross we did first, around 2005. 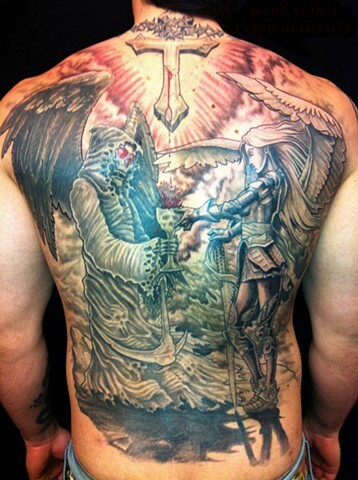 He then brought artwork for the angel, Done by Sinad. The reaper was my creation and how it all flowed together was my idea. There are a few cover ups in this piece as well.